Since leaving my job recently, I have been keeping busy with creating a short film for the short film competition held by Siemens and Zooppa. If you are an established or aspiring filmmaker, and have a passion for creating a greener and better world, then this is the perfect competition for you! 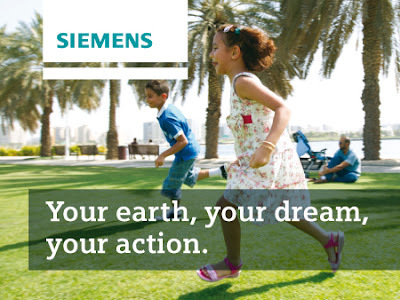 Not only does the winner receive $10,000, but Siemens will also take the best videos to the Rio+20 United Nation's Conference on Sustainability in June this year. There may not be long left, as entries are required by May 16th 2012, but it's definitely not too late! To learn more about the competition, follow this link here.